Founded in 2004, the New Jersey-based Data Analytics firm offers sustainable business solution across a diverse field, with the help of AI virtual assistant, Data Lake Management Solutions, Data Science and Big Data Analytics. With its unique AI services and advanced analytics-backed solutions, ECS offers services to banking, financial sectors, insurance, FMCG, telecom and others. In its 14 years of journey, they have also partnered with Microsoft Azure, Amazon Web Services and Cloudera for Big Data cloud commissioning apart from using their own accelerators. Analytics India Magazine interacted with Deepak Kumar, VP, Global Sales, ECS, who shares how the company is using analytics and AI services and also tells us what does the future looks like for data analytics in India and what are the challenges the industry is going through. Analytics India Magazine: How is ECS Inc. utilising analytics to provide solutions to businesses? 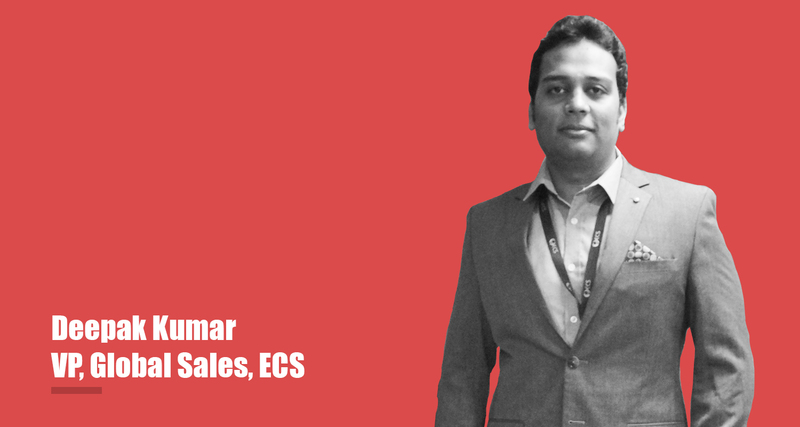 Deepak Kumar: ECS is utilising analytics through Big Data Platform and AutoML platform that helps in reducing the cycle time of mundane tasks of a data engineer and a data scientist, allowing them to concentrate on building more reliable models. The Machine Learning pipeline assists consultants through individual stages of cleansing, transformation and feature engineering with an easy to interpret KPI analysis and Storyboards for the stakeholders. Our products include – Ellie and SellSimplr. AIM: How does Ellie- the virtual assistant work? Core technology powering Ellie? DK: Ellie is an AI-powered Omni channel NLP (Natural Language Processing) messaging framework that leverages to deliver process automation and customer engagement. It assists businesses in monitoring and measuring customer interactions and optimize experiences. Ellie provides a seamless experience through real-time response, personalization and self-service. Irrespective of the size of the business whether it is SMBs or Enterprises, increasing revenue and cost reduction is what matters. Ellie achieves these goals by lead management, scheduling appointments, enhancing customer engagement through surveys and feedbacks and also integrates with back-end enterprise systems like CRM, Helpdesk. Ellie is also highly personalized, contextual and provides information for simple inquiries that is engaging and conversational. Our core building blocks involve the state-of-the-art neural network architecture for intelligent question answering mechanism for FAQs. AIM: Can you throw some light on SellSimplr? DK: SellSimplr, an integrated e-seller solution that aims to make the process of integrating online marketplaces and offline retailers easier by providing a multi-channel software as a service platform. SellSimplr helps in accelerating business revenue by making it easier to track status, monitor and to understand sales data. AIM: What are some of the analytics tools used in ESC Inc.? DK: Apart from using our own accelerators for Big Data Migration and Automated Machine Learning as a platform. We also use standard analytics visualization tools like Tableau, D3js and Big Data technologies like Python SparkML processing engine. We have partnered with Cloudera, Amazon Web Services and Microsoft Azure for Big Data cloud commissioning. AIM: Telecom companies are sitting on a goldmine of data. How is ECS Inc. helping telecom companies? Any recent case would you like to highlight? DK: The rapidly growing services in the telecom industry offers more choices to the end user by providing personalized recommendations on offers and services. Our automated machine learning assisted our telecom customer by making key decisions in targeted marketing. Big data undeniably has the potential to place communications services providers (CSPs) in a prime position to win the battle for customers and create new revenue streams. It provides information about their customers’ behaviours, preferences, and movements. Our recommendation systems auto-suggest algorithms that are best for the nature of the data for a particular use-case. It can provide an advanced form of personalization about the preferences, interests and also about new services to the customers. AIM: How is ECS helping FMCG sector use analytics to drive business? DK: FMCG manufacturers must have a clear understanding of consumer behaviour and their choices. Analytics plays a crucial role allowing organizations to derive predictive insights enabling competitive fact-based decisions. This automatically improves the effectiveness of marketing and maximizes supply chain efficiencies. Our AutoML helps in pricing optimization which is a combination of NLP and Deep Neural Network for text description analysis and pattern recognition. The product recommendation solutions assist our customers in optimizing the marketing spend and to deliver personalized promotions. A data scientist or a consultant can use these solutions to self-explore insights through our automated Data Engineering and Feature Engineering pipelines, all the way from data preparation to visualization. AIM: How are advanced analytics helping banking sector? Would you highlight few cases where ECS has helped them? DK: In today’s competitive world, demands are growing customer base and satisfying them is considered the most challenging task. The opportunity for financial firms to capitalize on data for strategic advantage has led to the greater need for data analysis. The focus for banks and financial services companies will continue to be on the revenue growth and higher margins through operational efficiency, better risk management, and improved customer intimacy. Moreover, advanced analytics helps banking sector to find new markets and efficient business models. Our AutoML recommends products and investment portfolio for banking and capital market clients. We leveraged Machine Learning Automation platform (AutoML) for one of our clients in order to predict the investment assets for a large panel of investors. The implementation and analysis of recommender systems were done using the financial investment information which was made available to us by a bank for a Proof-of-concept project. AIM: What are the challenges in the analytics industry? DK: Data privacy and security is a major threat to companies. Today organisations’ data is growing at a rate of 40 to 60 percent per year. Managing enormous streams of data from various disparate sources, both inside and outside of the organization is a matter to consider. There is a inadequate analytical know-how in the companies. Then there is low customer’s data maturity even at big companies. Even the SMBs are not geared or are not that sophisticated enough for analysis ready data. 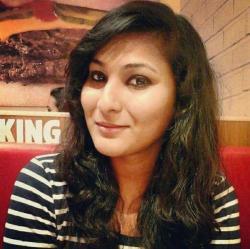 AIM: What does the future look like for Data Analytics in India? DK: With digital transformation and mobile technology, data is going to drive our day to day lives. As companies embrace digital API economy, the only way they can derive competitive advantage is by gathering superior insights from data. Analytics opportunities are plenty in India. There is always a need for analysing and interpreting data as everything is going online nowadays. The field of Data Analytics encounters data security and booming employment opportunities, making people’s life easier.